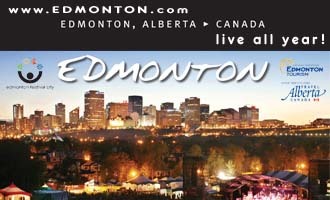 Location: Hwy 2; 90 km northwest of Lethbridge, 104 km south of Calgary. Population 3,758. Visitor Information: Claresholm & District Museum on Highway 2; Phone: (403) 625-3131 or (403) 625-1742. 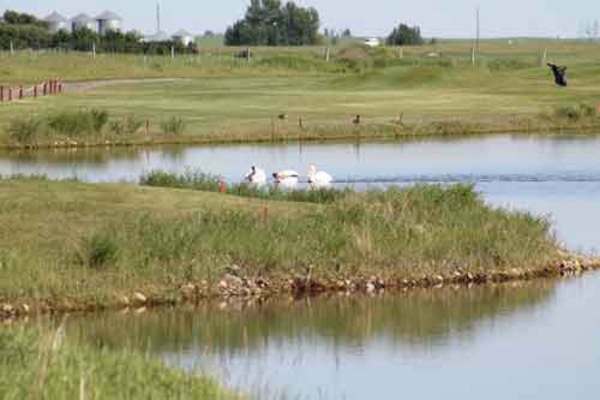 Claresholm is a thriving agricultural center situated on the fringe of the Porcupine Hills, in the Rocky Mountain foothills. 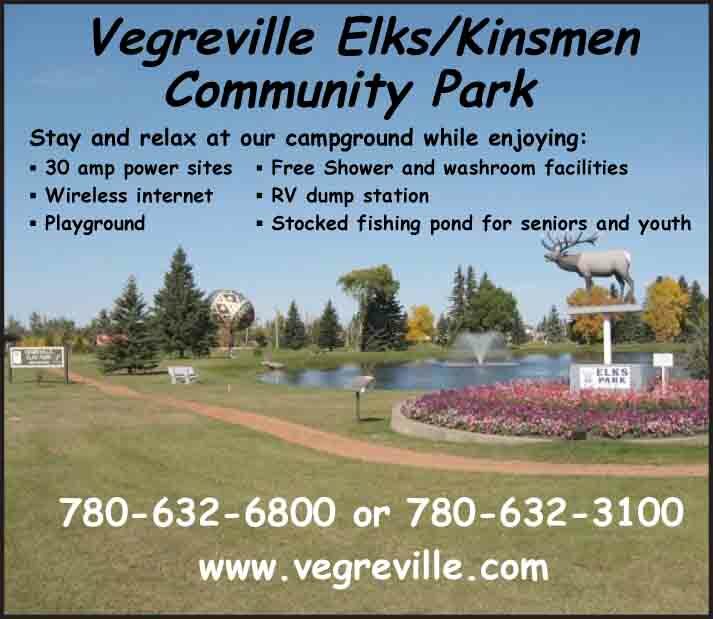 Centennial Park Campground offers beautiful tree-lined sites, hookups and showers right next door to a spray park for hot summer days. 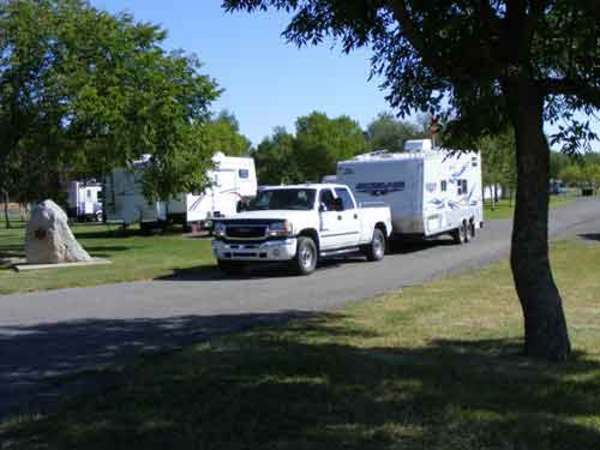 Several recreational sites are located nearby: Willow Creek Provincial Park provides rustic camping and picnicking spots; Pine Coulee offers fishing and boating; east of Claresholm, Clear Lake is great for camping under the stars, boating and kayaking; Chain Lakes Provincial Park, located on the “Cowboy Trail” (Hwy 22), has campsites tucked in stands of willow trees with community fire pits, shelters and a concession. 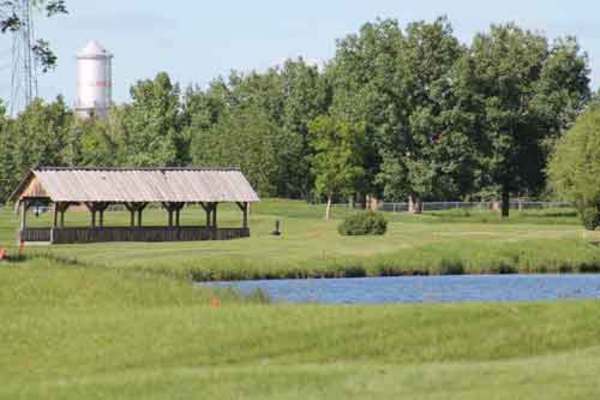 Golfers can challenge a contemporary front nine and a Les Furber ‘links style’ back nine at the Bridges at Claresholm Golf Club. Keep an eye out for the wildlife that frequent the water features on 13 of the 18 holes. The Claresholm Agriplex is a hub for equine activities in Alberta, with events nearly every weekend that showcase team roping, rodeos, penning and horse shows. The Visitor Information Center is housed in the Claresholm & District Museum, a sandstone railway station originally part of Calgary’s 9th Avenue CPR station dating from 1893, one-half rebuilt in Claresholm in 1911. Claresholm’s first school from 1903, a unique pioneer cabin, picnic tables and memorial flower gardens share the museum site. There is also an 8,000 square foot Exhibit Hall containing tableaux of the Town’s fascinating history and large antique vehicles, including a rare rural school bus. Admission is by donation. In 1940 as part of the British Commonwealth Air Training Program, Claresholm’s Number 15 Service Flight Training School was established and trained 1800 pilots for overseas combat; in the early 1950s, pilots and crew were trained as part of NATO. The Harvard Memorial at Centennial Park commemorates the contributions of the pilots, mechanics and aircrew.